Indore (Madhya Pradesh), Bhopal (Madhya Pradesh) and Vishakhapatnam (Andhra Pradesh) are the top three cleanest cities of the country, as per the results of the Swachh Survekshan, 2017 announced today in New Delhi. At the event, the Minister of Urban Development, M Venkaiah Naidu, said "The vision of a Clean India by 2019 is not one person’s job or one government’s job, the nation has to come together to make it possible.” The objective of the mission, according to him, has been to capture the improvement in the status of waste management and sanitation across the country. Maximum percentage has been given to solid waste management and sanitation in cities (40 per cent), followed by citizen’s feedback (30 per cent). Total 38 cities were awarded at the event by the Urban Development Minister today for their efforts to improve sanitation and cleanliness. The latest survey had expanded its ambit to 500 cities as compared to 73 cities that were surveyed in 2016. However, only 434 cities participated in the survey. Of the 2000 marks, the maximum percentage has been given to solid waste management, Open defecation and citizen’s feedback. Over 3.7 million citizens across the country responded to the survekshan, a rise from only 100,000 in 2016. Naidu said, "The citizen's feedback is utmost valuable to us as we have got a non-biased opinion, people are thrilled and want to contribute to the mission of Swachh Bharat." "We are seeing Swachh Bharat Mission as a massive behaviour change campaign, and there have been significant improvements," the minister added. According to the ministry of Urban Development, cities in Madhya Pradesh, Gujarat, Jharkhand, Chhattisgarh, Telangana and Andhra Pradesh have substantially improved their rankings and there has been a significant transformation in the status of cleanliness in the six states. 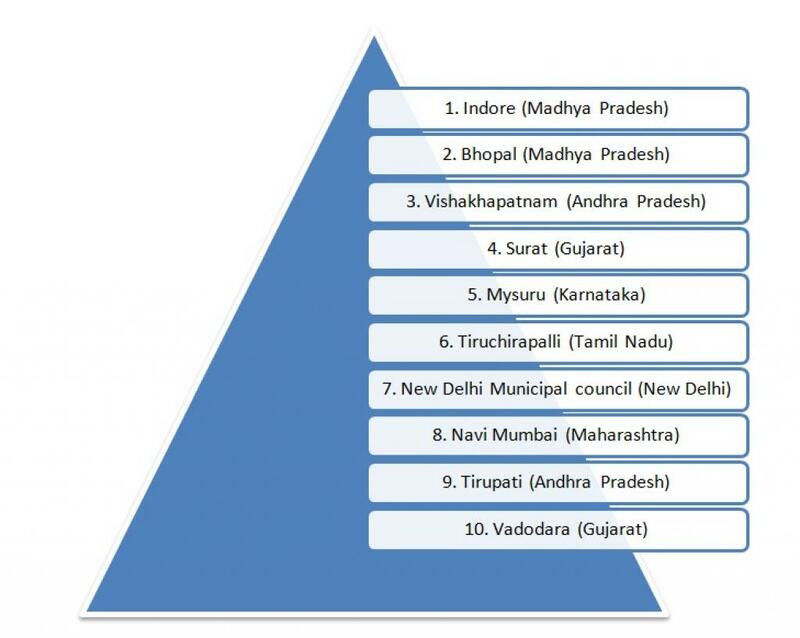 Of the top 50 cities, 31 cities are in three states: Gujarat (12), Madhya Pradesh (11) and Andhra Pradesh (8). Uttar Pradesh: 50 of the 62 cities/towns surveyed in 2017 are ranked 305 and below among the 434 cities/towns surveyed. In fact, 41 cities and towns are among the bottom 100 cities. Varanasi is the only saving grace with a rank of 32. Bihar: 19 of 27 cities and towns surveyed in 2017 are ranked beyond 300 with best rank in the state is 147 (Bihar Sharif). Total 15 of these 27 cities are among the bottom 100. Rajasthan: 18 of 29 cities/towns surveyed in 2017 are ranked beyond 300 and 13 are among the bottom 100. Bundi managed to get the best rank (171) in the state. Kerala: Of the nine cities surveyed in 2017, best rank for the state is 254 (Kozhikode). Four cities are among the bottom 100. Punjab: Of the 16 cities/towns surveyed in 2017, best rank for the state is 121 (SAS Nagar). 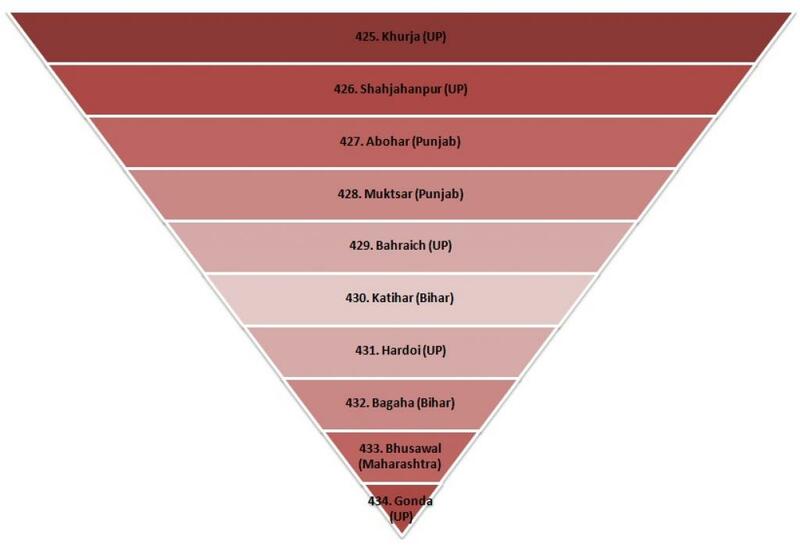 Seven cities among them are in bottom 100. The minister said that the worst performers need to learn from the best practices of the top 50 cities and that the government shall make immediate interventions in Uttar Pradesh, Rajasthan and Bihar for improving the existing conditions. Mysuru, which grabbed the top spot for last two years consecutively, has slipped to fifth position. 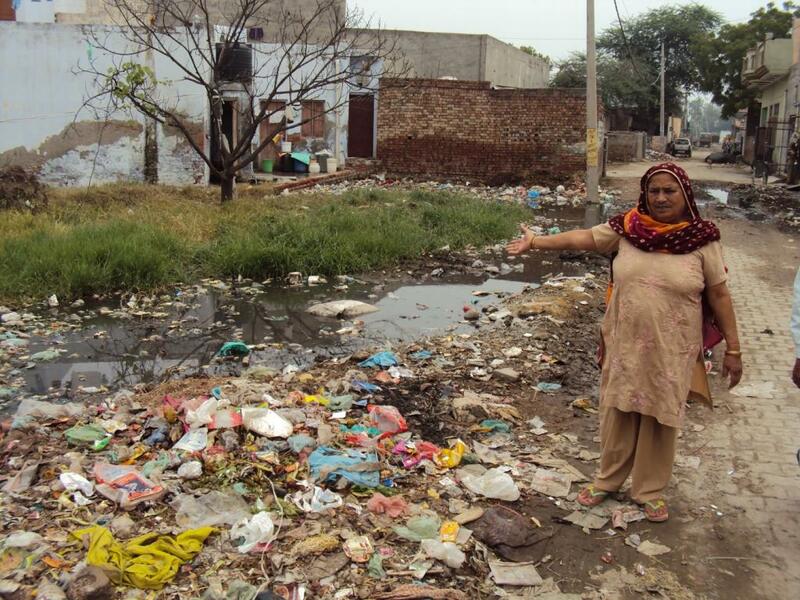 The city’s overall score is 87 per cent for its status of cleanliness and sanitation. Varanasi has showed a significant improvement. It occupied the last spot in previous surveys, however, it has moved up to number 32 from its 418 rank in 2014. There has been a country-wide momentum on the issue of solid waste management. The results have clearly highlighted that people are taking cleanliness seriously. They are talking about it while standing in queues, at tea stalls and in train. Some of the cities, which have grabbed top 50 spots, have not been in the picture at all in 2016. This clearly shows that the municipal corporations are doing their bit. Awareness and capacity building has, to some extent, contributed towards better sanitation, solid waste and ODF status in the country. But there is also a concern here. It can be a speck of dust in the eye but it is still a major concern. Of the six states that have been the best performers, most of them have adopted a cluster approach for waste management. Madhya Pradesh, Gujarat, Andhra Pradesh and Telangana have chosen centralised processing over decentralised waste management. Segregation needs to happen at source, not at the processing site. 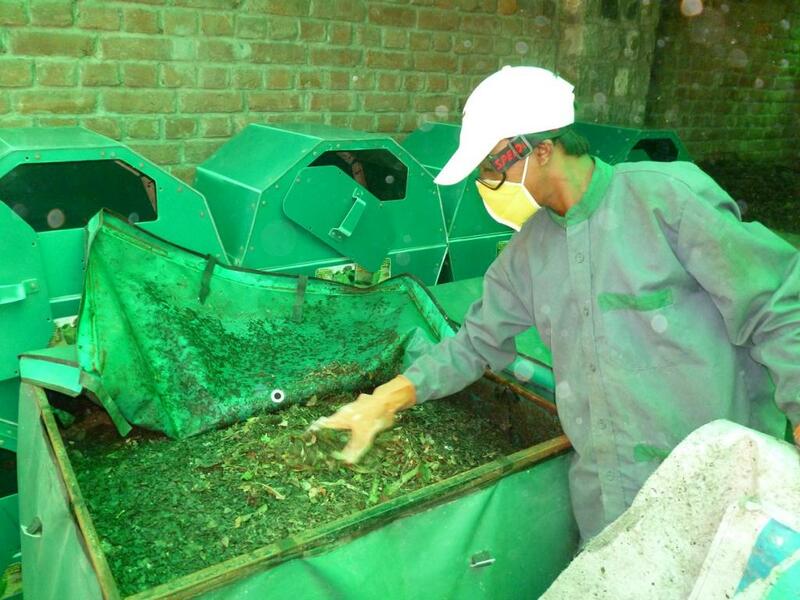 It is well understood that segregation at source will lead to better efficiency in processing of waste. Indore, which has been awarded the cleanest city of the country, strangely, has no system of segregation at source, though it boasts of a 100 per cent door-to-door collection. Bhopal follows suit. Decentralised management has clearly been undershadowed. Such exemplary examples have not been highlighted. You are asking us to compost, but it starts by asking households to segregate. It is not happening in most of the top 10 cities, leaving Mysuru and Tiruchapalli aside. Aren’t we still moving towards easier solutions—collect-> sort -> burn -> or dump? While we need to celebrate improved sanitation scenario as reflected in the Survekshan results, we also need to question where are we heading? More WTE plants in our backyards? More dumping sites? Is it a battle lost or won? A big question again. Varanasi-32, Aligarh-145, Jhansi-166, Kanpur-175, Sahranpur-245, Jaunpur-246, Allahabad-247, Ayodhya-252, Agra-263, Lucknow-269, Orai-273, Bareilly-298, Chandausi-305, Sultanpur-309, Gorakhpur-314, Lalitpur-320, Moradabad-321, Rudrapur-325, Shamli-326, Loni-331, Akbarpur-333, Etawah-336, Deoria-338, Meerut-339, Muzaffarnagar-344, Ghaziabad-351, Mathura-352, Modinagar-360, Ballia-361, Maunath Bhanjan-370, Pilibhit-374, Firozabad-375, Farukhabad-377,Sambhal-378, Mainpuri-379, Mughalsarai-382, Faizabad-383, Banda-385, Basti-386, Mirzaput-389, Amroha-393, Raibareily-394, Azamgarh-398, Rampur-399, Sikohabad-401, Etah-406, Sitapur-407, Hathras-408, Kasganj-409, Lakhimpur-410, Fatehpur-412, Ghazipur-413, Unnao-417, Badaun-420, Baraut-421, Bulandshahr-423, Hapur-424, Khurja-425, Shahjahanpur-426, Bahraich-429, Hardoi-431 and Gonda-434. States like punjab have shown very poor performance. They should learn from MP.